All have sinned. . .and all have been offered mercy. The last couple podcast episodes there has been a bit of a theme developing. None of us can achieve perfection in our efforts. But we have hope because we have been given a perfect Savior. Jesus longs to restore us to wholeness. To heal the wounds. To bind the brokenness. 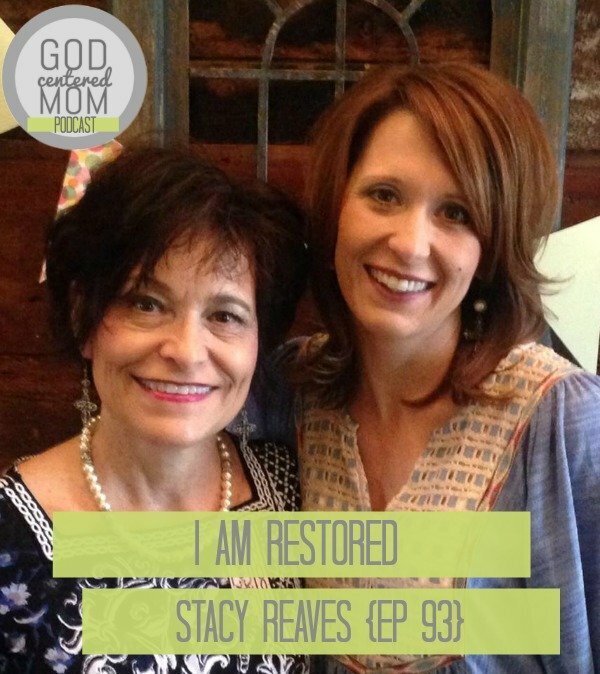 Today, my dear friend, Stacy Reaves, shares her own restoration story. Her story includes an abortion as a teenager, a striving to “live perfectly” and a healing of her soul. Now she and her mom lead Restore Ministry for post-abortive women. Even if your story doesn’t resonate with Stacy’s, I encourage you to listen because she clearly explains the freedom journey. No matter what shame you are carrying, Stacy and I hope you find the confidence of a safe friend. That you allow Truth to remove whatever lies you are believing. And that you hear God’s voice clearly saying who you are in Him. The story of Stacy’s teenage pregnancy and then abortion. The weight and struggle of the pain after she became a Christian. The invitation by a mentor to attend a recovery Bible study. The freedom she (and her mom) received and wanted for others. The life we are called to live–a purpose to live out once healed. The multitude of women not reaching out for help and healing. The healing and groups for men affected by abortion.